It’s quite normal for dogs to chew on objects and humans as they explore the world with their mouths. Chewing becomes a destructive behaviour, only when your pup starts chewing on the wrong things, like your Manolo Blahniks. I adopted Luca, when he was 7 months old, at that age he was still going through the destroy anything and everything stage. Even a few of my beloved house plants lost the battle against Luca when we first got him. 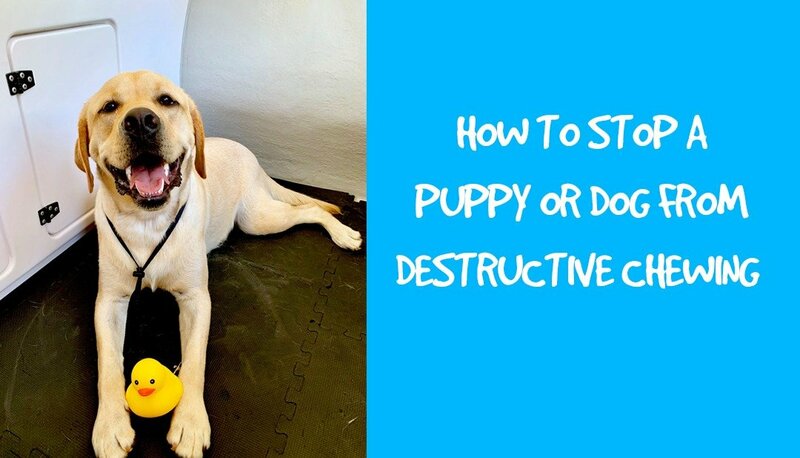 While it can be annoying and frustrating, puppy chewing is an important part of their teething process. When young puppies start teething their gums and mouth get irritated. They want to chew everything they see to relieve their teething pain – no different to human babies! However, when it comes to adult dogs, they tend to chew for fun, boredom or to cope with separation anxiety. 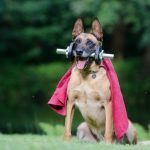 Some dog owners tend to think that chewing is just a part of the puppy phase, however if you do not correct them when they are younger, they will continue to develop these habits as an adult dog. It’s never too late to teach a dog new tricks. First things first, you need to puppy proof the house. If your puppy/dog loves to eat shoes, cables etc, put them away until you are confident that their chewing behaviour is restricted to appropriate objects. 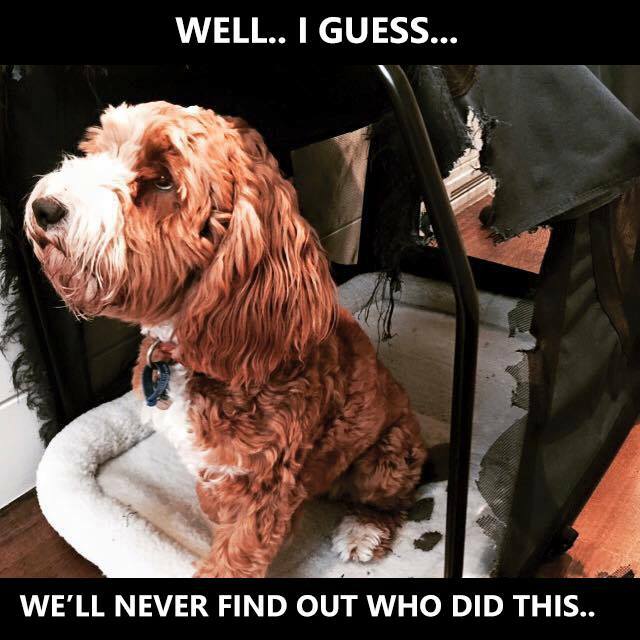 Also do not let your pup run freely around the house without any supervision. Channel your inner Marie Kondo and (in this instance) hide the items that you don’t want to become chew toys. Keep your fur ball’s mind and mouth occupied with appropriate toys. Every time they try to bite/chew anything they aren’t supposed to, correct them with a firm command and give them something appropriate to chew on ie: redirect their attention. This will take many attempts, your dog/pup will not learn this overnight. Consistency is the key. Make sure you rotate their toys, so they do not get bored. Always supervise your dog when you give them a toy to play with. One favourite is a Kong toy which is a rubber toy with a hollow centre – filling it with treats (and maybe peanut butter! ), it is a great way to keep them distracted and happy for hours. Do not offer them a treat in order to distract them from biting/ chewing, if you do this your dog/pup will think biting/chewing inappropriate items is a great way to be rewarded. 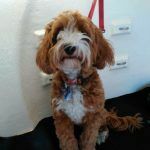 A few years ago I caught my mum doing exactly that: read that story here> Are you rewarding your dog’s bad behaviour? 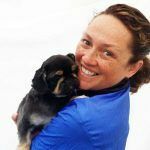 Your dog/ pup needs plenty of exercise and physical/ mental stimulation. Take them out for a walk, help them socialise with other canine pals, hoomans, smell the fresh air and chase some beautiful butterflies. Sometimes with adult dogs, chewing/biting can be a symptom of a more serious problem, such as separation anxiety. If the chewing occurs because of separation anxiety, your pup/dog won’t chew/bite objects when you’re present. 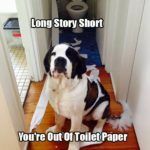 If this is the case, then speak to a qualified dog behaviouralist and get some help. With a little time, consistency, a bit of patience and plenty of belly rubs, your pup/dog will learn to stick to their own toys and chew on them rather than taste testing your new couch. 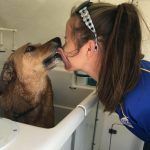 What is it like to be a dog groomer?